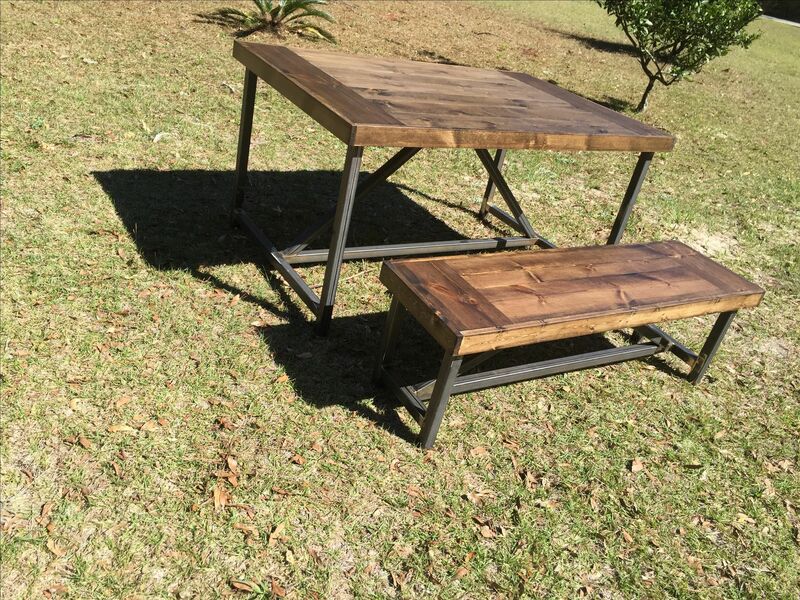 Farm Table With Wood Top And Metal Legs! 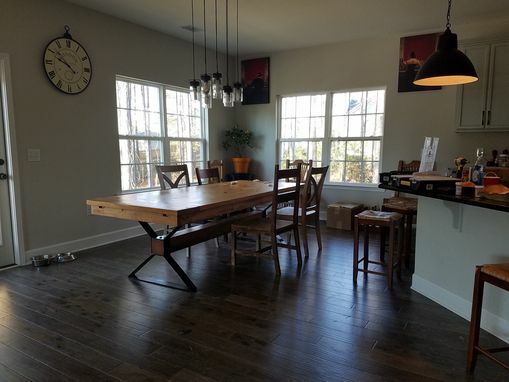 This table is a ranch style, dark walnut table with metal legs! We specialize in wood working and have an amazing welder who can create almost anything you want out of metal for a base! Inquire today and see what we can create for you! We can create conference tables, dining tables, farm tables, coffee tables, end tables, side tables, islands, counters, countertops, with and without company boards, bars, desks, reception desks, and more!